For a film that was quietly nudged toward the sidelines as Deadpool 2 and Josh Boone’s New Mutants spinoff coalesced, X-Men: Dark Phoenix has now exploded into life, recruiting a host of familiar mutants and a director in Simon Kinberg, one of the many veterans of Fox’s grand cinematic franchise. Set in the early 1990s, Dark Phoenix mines inspiration from the eponymous comic book by focusing on the young Jean Grey (Sophie Turner) who, after a brief spell in space, is overpowered by the titular cosmic entity. Since its inception, the Dark Phoenix saga has struck a chord with the X-Men faithful, so it’s small wonder why fans are beginning to look toward the film’s November 2018 release date with hushed excitement. Not only that, but 20th Century Fox essentially put any and all rumors to bed a few weeks back by confirming that Michael Fassbender, Jennifer Lawrence and James McAvoy – the three cornerstones of the studio’s rebooted franchise – are back on board to reprise as Magneto, Mystique, and the young Charles Xavier. 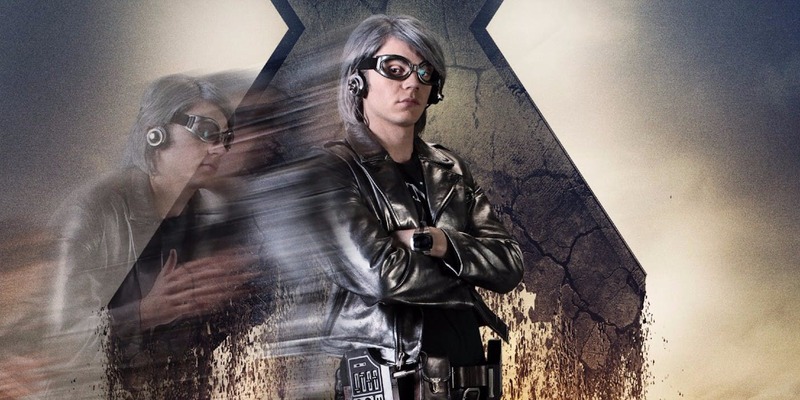 That’s not all, though, as we’re now hearing that Evan Peters will be back as the scene stealing Quicksilver, while the project has also made room for Canadian actor Lamar Johnson in a mysterious role. Though exciting to hear, news that Peters is back for more isn’t very surprising. After all, his slo-mo sequence in X-Men: Days of Future Past is one of the best scenes in any comic book movie, ever, while the one found in Apocalypse was also quite impressive. Not to mention that he’s a huge hit with fans, too. As such, it’s great to get some confirmation that he’ll be returning for more when the next chapter in the main saga arrives. X-Men: Dark Phoenix will loom over theatres on November 2nd, 2018. As we alluded to before, it’s one of three major mutant-related blockbusters slated for next year, what with New Mutants and Deadpool 2 set to bow on April 13th and June 1st, respectively. The latter is already shooting scenes outside X-Mansion, and make no mistake, the Merc With a Mouth hasn’t lost his sharp tongue and cheeky sense of humor. Tell us, are you happy to hear that Peters is back for more slo-mo shenanigans? Let us know in the usual place!